Each day the sun stays above the horizon a little longer. The light remains a few more seconds. We still have more winter and colder weather ahead. The additon of light reminds us that spring and summer are coming. Christians see Jesus as the light of the world. His light burned brighly and touched thouse around him. Each day that we read Scripture, pray, and hold holy conversations with our friends and neighbors, we allow Jesus' light to be seen longer. 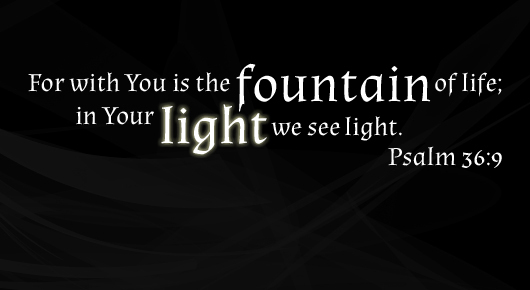 We also allow Jesus' light to shine brighter in our own lives. Soon, we will begin the season of Lent. During Lent we remember that Jesus' light was extinguished through his death. We use the darkness as a time for thinking of how we can extend Jesus' light in our lives and in the lives of those around us. Then on Easter Sunday morning we remember that Jesus' light could not be extinguished and that he conquered death. Let's use the weeks ahead as a time for reflecting on the light of Christ so that we can reflect the light of Christ in the world that is at times very dark.